Hyundai Kite is the 14th 1:1 scale styling model realised by the Istituto Europeo di Design of Turin, for the thesis project of the biennial Master in Transportation Design A.y. 2016/2017. 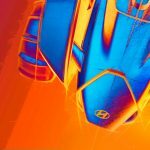 The concept car born from the collaboration with European Design Center Hyundai will be premiered (press conference on Tuesday 6th March h. 14:45 – stand IED 6241, hall 6) at the 88th Geneva International Motor Show, taking place from 8th to 18th March. On the occasion of the upcoming Geneva Motorshow -for the first time ever- IED presents a prototype with the interiors. Remarkable is the gearbox realised in partnership with Gruppo Sila, while the seats and the belts are the outcome of a collaboration with Sabelt. Gruppo Sila is also partner for another project involving the students of the IED Turin’s Product Design and Transportation Design programs who designed other two proposals of full by-wire gearbox, exhibited in a dedicated space of the stand. 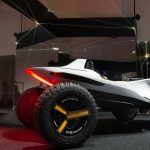 Moreover, the audience will have the chance to experience the concept car through virtual reality thanks to a project carried out in collaboration with Protocube Reply. Hyundai Kite was realised by NCS | NewCast Services Srl, partner for prototyping.